Chinese handset maker, MEIZU has been on a roll with its 16-series smartphones. 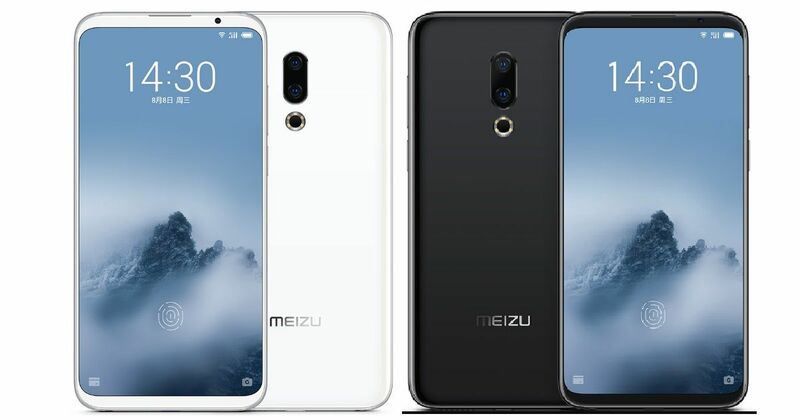 The brand launched the MEIZU 16 and 16 Plus smartphones in China earlier this year, which are its latest flagships. The 16 and 16 Plus were then followed by the launch of the MEIZU 16X, which was a toned-down variant of the flagship duo. Now, MEIZU seems to be gearing up to launch yet another smartphone in the series called MEIZU 16s, which is a beefed up variant of the flagship duo. A recent leaked render of the upcoming smartphone, gives us our first glimpse of it. At first glance, the MEIZU 16s appears almost identical to its flagship siblings launched earlier. However, if you take a closer look there are several differences which pop out immediately. First and foremost, while the 16 and 16 Plus featured an 18:9 display with bezels on top and bottom, the MEIZU 16s seems to be sporting an all screen display with next to none bezels on all sides. We can see an extremely thin slit for earpiece on the top, a logo for under-display fingerprint scanner and a tiny display cutout for selfie camera in the top left corner. This could be one of the few smartphones to flaunt a very high screen-to-body ratio. Coming to the rear panel, once again the handset has an identical design like its flagship duo with an oblong camera module. However, unlike the MEIZU 16 and 16 Plus, the 16s boasts of an extra sensor, taking the camera count to three. Below the camera module, we can see the signature ring LED flash of the brand. Previous rumours have suggested that the MEIZU 16s will come with Qualcomm’s upcoming flagship chipset – Snapdragon 8150, which is a 7nm silicone. The processor is likely to be accompanied by 8-gigs of RAM. Unfortunately, no other details of the handset are known at the moment. An earlier leak also suggested that MEIU might price the 16s at RMB 3,500, which is roughly Rs 35,700.